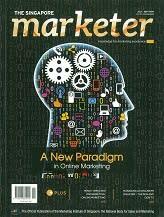 At the heart of the changing online marketing trends is that consumers are increasingly reluctant to be marketed to. Aseem Puri, Senior Director of Marketing at Unilever, told the recent Content Marketing & Strategies Conference in Singapore, which I hosted, that "consumers of tomorrow are already adept at ignoring any type of marketing message you can throw at them." This is a massive problem for marketers because all forms of advertising and marketing in the past has relied on the recipient giving implicit permission to be sold to, even if this only extended to watching ads during commercial breaks. Consumers are already using technology to by-pass anything that looks remotely like an ad, so marketers need to come up with something new. And content marketing is it. Content marketing means providing valuable, relevant content to generate brand awareness, engagement and leads. As Michael Gerard from Curata says, "content marketers are aiming to build long term trust, consistently providing value for readers without asking for anything in return". For many marketers this is hard to fathom. They think online marketing revolves around sales messages. But the evidence is that consumers switch off, or switch away, as soon as the sales pitch starts. Just ask any insurance salesman. Many marketers are pursuing search engine marketing (SEM). But what do people actually search for, asks Vaasu Gavarasana, who heads Business Marketing at Yahoo! Asia Pacific. Speaking in his capacity as a founder of the Asian Content Marketing Association (ACMA), he told the conference "people search online for information and solutions to problems; not to be sold to". Therefore, consumers are far more likely to engage with brands which provide them with useful, entertaining content than those that provide them with a sales pitch. And the more candid and usable this content is the better. Once consumers respond to the SEM campaign and click through to a site they must find valuable, relevant content instead of sales pitches. Search should lead to content. Content leads to conversations. Those conversations then lead to sales leads. Bounce rates – which measure how many people abandoned a site after just looking at one page – should fall, the more interesting content you feature on your site. The evidence is many marketers in the US have already seen the light. Statistics gathered by the Content Marketing Institute shows 93% of marketers use content marketing, up from 91% a year ago. 73% of them are producing more content than they did in the comparative period. They spend on average 30% of their marketing budgets on content marketing, with 58% of them saying they will increase this budget. Content marketing is primarily used for brand awareness (82%), lead generation (74%) and customer acquisition (68%). Sales ranked last, with fewer than one in two (45%) citing this as a priority. So, how do you get started in content marketing? First, says Unilever's Puri, is for marketers to start with the same question they currently do: who they want to serve? In other words, who is the target market. But to market online successfully, the next question should not be, what product or service do you want to push, but, what issue do you want to own? SingTel's Senior Content Marketing Manager, Dipashree Das, said your consumer – not your brand – should be at the heart of your content marketing strategy. Owning the issue necessarily means having a point-of-view of that issue. And then, what is the brand's purpose which substantiates this point-of-view. Ideally, with an edgy personality. Purpose may be hard to define, but the top marketers are keeping this foremost in their minds. Many companies know what they do. They also know how they do it. But few can answer why they do it. And as the conference heard, the "why" is often the most important. John Kerr, who heads Edelman PR offshoot Zeno Group in Asia, said, "insight, emotion and purpose" are the most important. In other words, you need to establish what special insights you deliver, what emotions you stir in your audience, and what purpose your brand serves in the narrative. Juliette Morton, who heads Digital Marketing in the region for Samsung, refines this further by pointing out that your content needs to be personalised to appeal to specific customer segments, and localised, ideally with hyperlocal content. The good news for the budget conscious is that all this content doesn't need to come from you alone. In fact, curating other people's content and linking to it serves a valuable purpose. So, you might not even have to produce a lot of content if there is already a lot out there that you can refer to. The same goes for Facebook. It might seem unorthodox, but you don't really need to set up a corporate Facebook page if others are already running successful fan pages with lots of members. Chris ter Steege from Philips said if the conversation is already taking place on a site with many followers, why not just join in the conversation there, rather than try to build up followers on your own page. "Social is a mindset, not a channel," Zeno's Kerr said. Or put another way by SingTel's Das, " If content is fire, social media is the gasoline." Increasingly, marketing is not just for the marketing department to worry about. The consensus among the speakers was that the entire company needed to get behind the effort – including front-line sales people who have their finger on the pulse of contemporary customer concerns and needs. That's not to say everyone in your company needs to start a blog. But break down the silos that prevent content and ideas from flowing between departments. Your entire company should become one big newsroom. Newsrooms have journalists, not copywriters, so ACMA's Gavarasana recommends ditching the copywriters. I would add that if you are going to hire journalists, as opposed to copywriters, you need to give them the editorial freedom they need to produce valuable, entertaining, relevant and non-salesy content. Don't edit their work by peppering it with marketing messages. Then you might as well go back to hiring copywriters, and you're back to square one. Another feature of newsrooms is that they are always switched on, as opposed to traditional marketing campaigns, which inevitably have an end-date and could therefore be described as "sometimes on". Imagine if courtship was a "sometimes on" affair, says Gavarasana, your romance would be over fairly quickly. Therefore, your corporate newsroom must have an "always-on" mentality. Clavin Wong, Digital Manager at Burson Marsteller, said you should post good, relevant content 3-5 times a week. Statistics from TechValidate says 94% of marketers say content based on customer endorsements is most effective in marketing. This overview should at least get marketers thinking about whether they are up with the times, by offering their target market valuable, relevant content, or are stuck in the past by merely offering sales pitches. We can all agree that, as consumers, we don't want to be sold to. The trick is, as we turn from being "consumers" to "marketers", to not lose sight of that. **This article first appeared in the Marketing Institute of Singapore's Singapore Marketer magazine and is reproduced by permission. Click on the Attached PDF document below to see how it appeared.